Trish has always had a passion for dance and movement her entire life. Her extensive dance training led her to receive an award for a dance scholarship to Orange Coast College, Orange CA. Her journey with dance continued, and with it she developed a desire to teach Pilates, after her first introduction to Mat Pilates by aerial artist Tania Holt. She then began teaching her own Pilates Mat classes from 2005-2007. In 2010, after studying and interning daily for an entire year with Master instructor, Victoria Leonard, MFA, of BASI Pilates, she completed her education as a Comprehensive Pilates Instructor with Balanced Body University. Since then, Trish has received a Prima Barre Certification in 2012, an AFAA Group Fitness Certification, Basic 1-2 and Gold Licences in Zumba, and Drums Alive Certification. Mat Certification in 2015 with the founder and director Rael Isacowitz of Body Arts and Science International Pilates (BASI). Her dance background takes her Pilates and Barre teaching to the next level, allowing her to help students achieve a better understanding of body alignment. 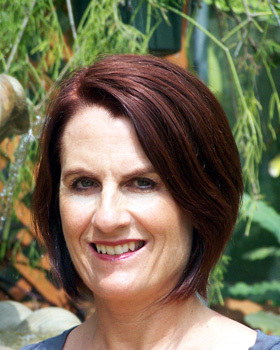 Trish has taught Pilates for more than 10 years in private gyms and studios, as well as her own. She adores teaching Pilates and Barre to all levels, and is particularly fond of working with women in the 2nd half of life. Trish is the proud mother of two grown children, and two beautiful grandchildren, and resides in Simpsonville, South Carolina with her husband of 37 years.